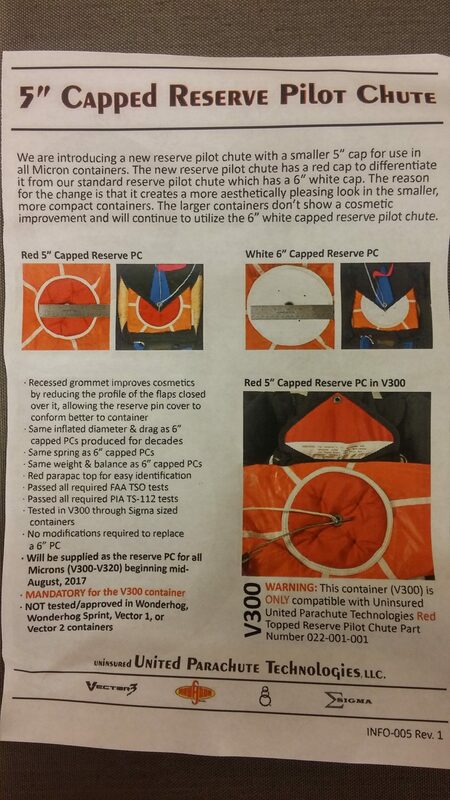 UPT has changed the size of the reserve pilot chute cap for Vector 3 Micron. The reason they give is to improve the esthetics of the rig. With the “old” RPC you only had just a bit more than 1,5 inch to each side of the reserve container. And while that didn’t matter for the skilled rigger, for many other riggers that was a nightmare. 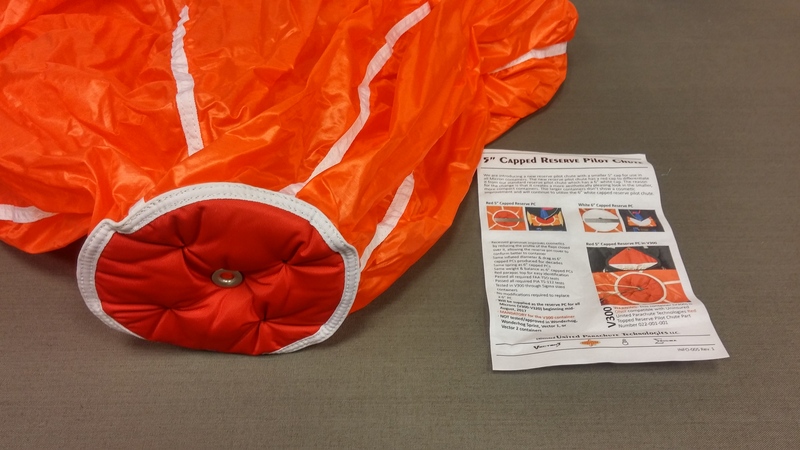 With the new cap size, the distance now is more than 2 inches, and that should make difference. Time will tell! This is not a Service Bulletin and it doesn’t require any action to be taken. It’s just that new rigs ( Micron ) will be delivered with this reserve PC, and if you have a reserve ride and loose your RPC, the new one you order will be the “new” one.